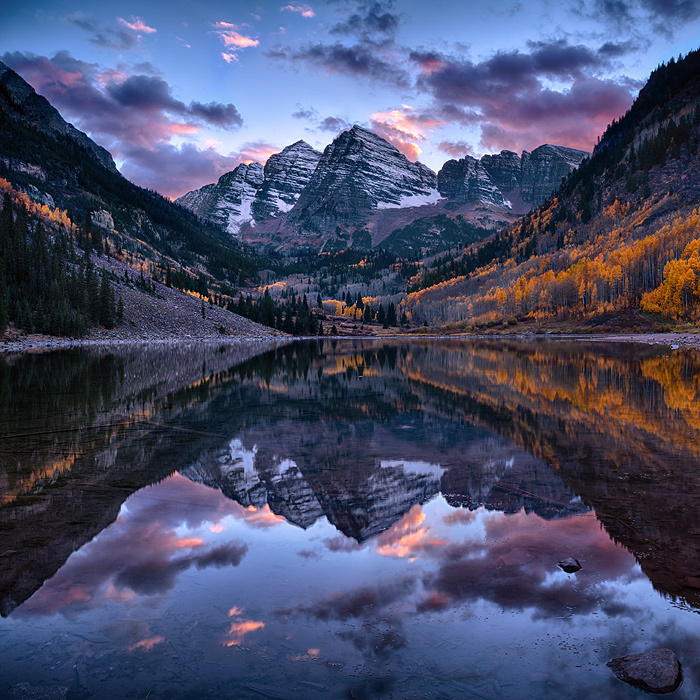 The striking symmetry of Maroon Bells is reflected in Maroon Lake on this perfect autumn day. Melodic inversion is a compositional technique where the composer takes the original melody and turns it upside down. Here the composer is nature and the melody played by the Bells is among the most beautiful in the world.